WASHINGTON — Never underestimate the staying power of big tobacco. In 2006, U.S. District Judge Gladys Kessler ordered the nation’s largest cigarette makers to publicly admit that they had lied for decades about the dangers of smoking. The basis for the punishment: Testimony from 162 witnesses, a nine-month bench trial and thousands of findings by the judge that defendants engaged in what the largest public health organizations in the country have called a massive campaign of fraud. Bloodied but unbeaten, the tobacco companies have plunged into another courtroom battle in an effort to stave off the humiliation of having to underwrite an ad campaign in which they brand themselves as liars. Oral arguments are scheduled for Monday before the U.S. Court of Appeals for the District of Columbia Circuit. The ads would appear in newspapers, on TV, websites and cigarette pack inserts. The ads, called “corrective statements,” stem from a civil case the government brought in 1999 under RICO, the Racketeer Influenced and Corrupt Organizations Act. The companies are asking the appeals court to set aside the corrective statements and craft new ones. The companies say the statement is overbroad and misleading. Their reasoning is that the findings cited by the judge pertain to the alleged inaccuracy of the companies’ public statements about smoking and health, not to whether anyone in the public was actually deceived by the defendants. 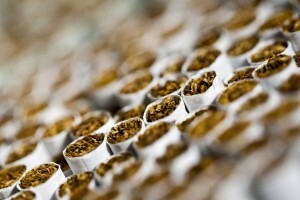 The question of whether the companies deceived the public is a disputed factual issue in every fraud case brought against the defendants by an individual smoker, the companies said in a recent court filing. They say that if the corrective statements are not modified, the question of whether the companies deceived the public will be decided by jurors exposed on countless occasions to the erroneous assertion that the companies engaged in deception. The companies in the case include Richmond, Virginia-based Altria Group Inc., owner of the biggest U.S. tobacco company, Philip Morris USA; No. 2 cigarette maker, R.J. Reynolds Tobacco Co., owned by Winston-Salem, North Carolina-based Reynolds American Inc.; and No. 3 cigarette maker Lorillard Inc., based in Greensboro, North Carolina. Kessler required the companies to publicly address smoking’s adverse health effects, nicotine manipulation and the health impact of secondhand smoke. The judge also required that the companies address the truth about “light” and low tar” brands and the nature of cigarette addiction. The judge said the corrective statements would be in all cigarette packs sold for 12 weeks over the course of two years, in TV spots once per week for a year, in a separate newspaper ad by each company, on company websites indefinitely and at certain retail outlets. In 2009, the appeals court directed Kessler to craft corrective statements confined to purely factual and uncontroversial information that would reveal previously hidden truths about the tobacco industry’s products. But the companies said in a recent filing that Kessler went beyond those instructions and ordered inflammatory statements that require the defendants to denigrate themselves.